Heidi: What was the tipping point for you to leave teaching and become a photographer? or do you view the switch simply as photography is your vehicle to teach rather than the classroom? Aliza: I studied Environmental Engineering in undergrad and went on to get my masters in Creative Arts In Education. When I was a teacher in LA I integrated photography throughout the curriculum and also took classes at OTIS ( they had a great deal for LA public school teachers). I became more and more invested in photography as an anthropological and educational tool – especially the long term project. I was a tenured teacher at the time and took a leave of absence in 2007 to go to Bolivia and document President Evo Morales’ efforts to reallocate farmland to indigenous people. During that time, I also had some really talented photographer friends who mentored and encouraged me to pursue photography more seriously. I applied to The International Center of Photography’s Documentary and Photojournalism Program and went there from 2008 – 2009. 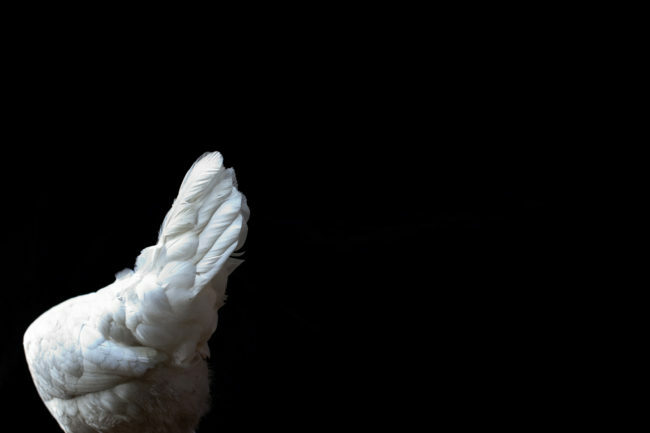 Animal photography happens in the space between fear and poop. Every animal is different, and it’s hard to predict how an animal will react to standing in front of flashing lights in a studio setting. Some freeze, others run or fly into the lights and others will try to go through the backdrop. Some animals are surprisingly calm and curious. You really never know and the farmers are always surprised by which animals end up being the best subjects. Patience is critical. I like to give each animal at least 10 -15 minutes to get used to the situation. It also gives me a chance to observe and get to know the animal and get a feeling for his/ her personality and outstanding physical traits. On set I’m pretty quiet and let the animals roam within the studio space we have built. Often it is during those times that I get the most interesting photos. Sometimes you only get a few seconds of prime shooting, so you need to be ready. 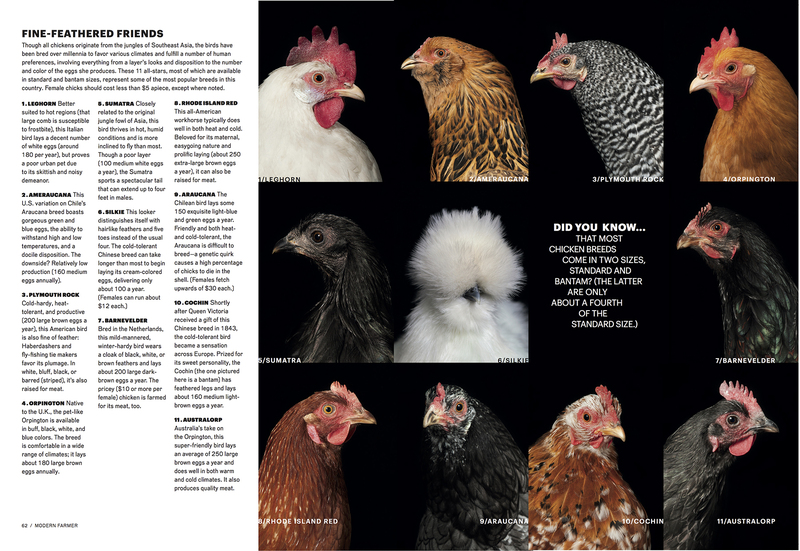 For Modern Farmer I need to get very specific photos of each animal– a tight portrait with the animal facing both left and right and full body shots – all on both black and white backgrounds (in addition to more creative shots). For those, we want ears forward, long necks, and heads held high. I have the farmer or my assistant talk to them, call them, make noises, hold treats in front of them. We do whatever it takes to get the shot. It can get pretty comical and hectic on set when birds fly behind the backdrop or a 1,400 pound draft horse decides the shoot is over. It can get pretty stressful, but I love it. I began shooting animals while photographing farmers and chickens for two personal projects: SUSTAIN and 2 Chickens In Every Garage. SUSTAIN is a long term documentary project on the sustainable farming movement. 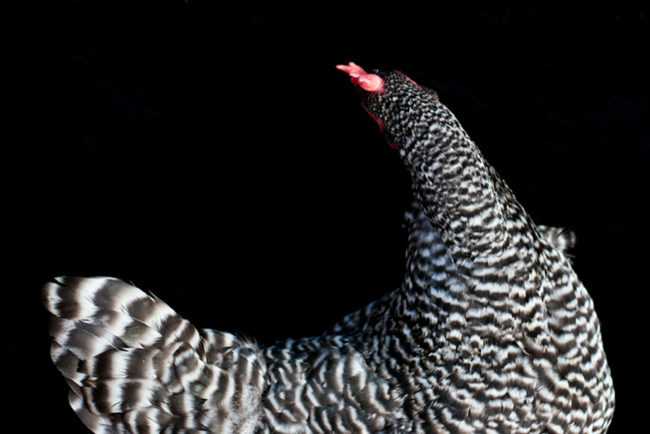 2 Chickens in Every Garage is a series that looks at the backyard chicken movement across America and the role chicken enthusiasts have played in changing city ordinances and reshaping our relationship with our food and food sources. To make this work, I joined chicken enthusiast meetup.com groups. 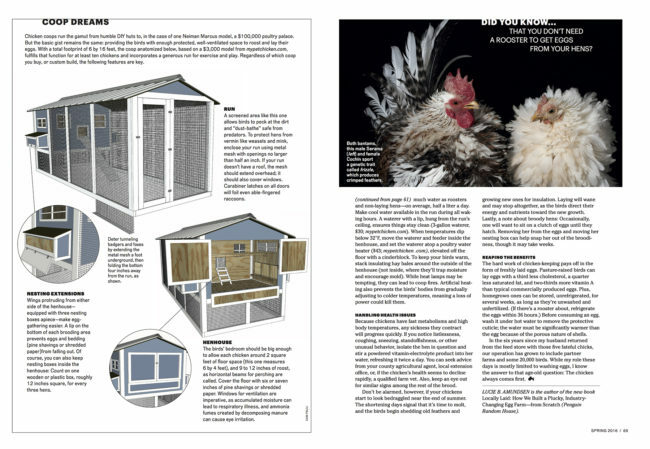 I visited enthusiasts in several cities around the country and set up a studio with black backdrop inside of the coop in order to isolate the chickens from their environment and force the viewer to consider the chicken. 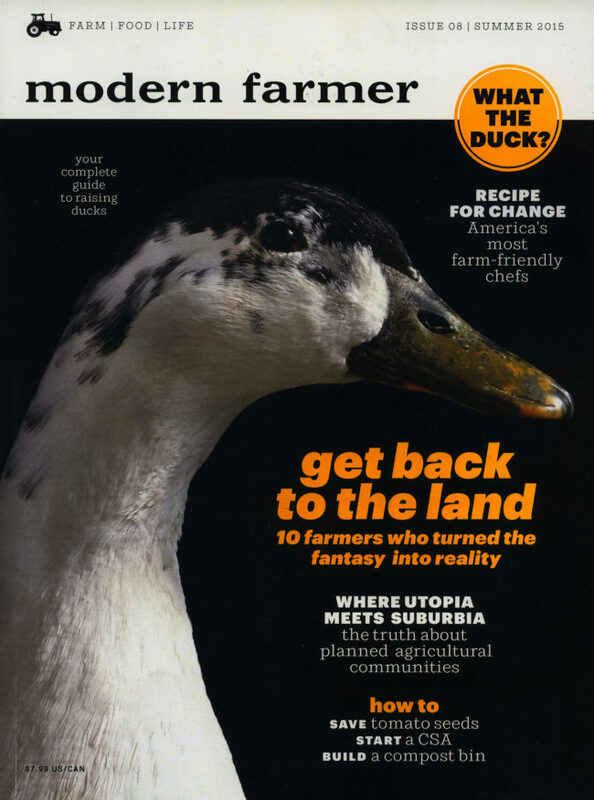 Modern Farmer Photo Director Lila Garnett was familiar with my chicken work and published the series on Audubon.com when she was photo editor there seveal years ago. 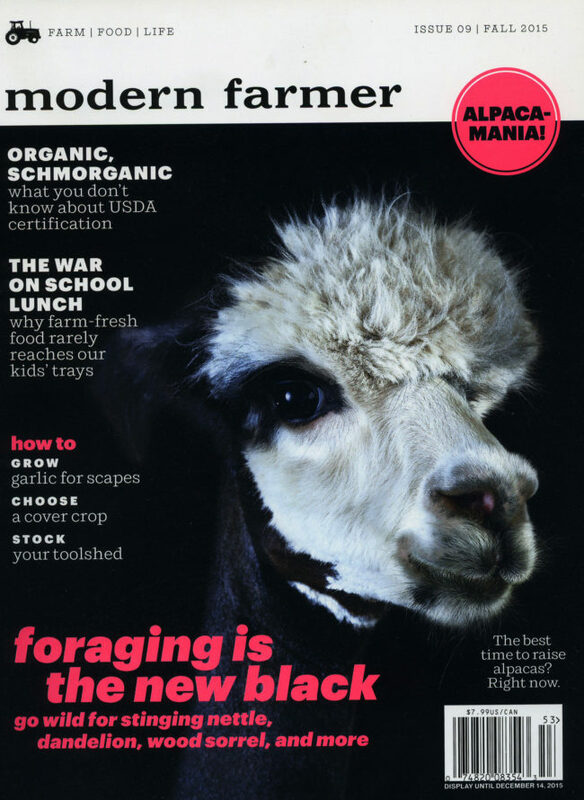 When Lila moved to Modern Farmer 5 or 6 years later – she reached out to me! Do you have a team of wrangles that you work with, or have your developed enough experience to handle things are your own? I work with one photo assistant and the farmer/s on set. Everyone helps to keep the animal in front of the backdrop and the space safe for everyone on set. You often shoot for Modern Farmer, what was different or unique about this project? I just finished shooting my 5th cover story for Modern Farmer and will be shooting 2 more this summer. Honestly it’s my dream gig and I feel so honored to be involved with this publication. 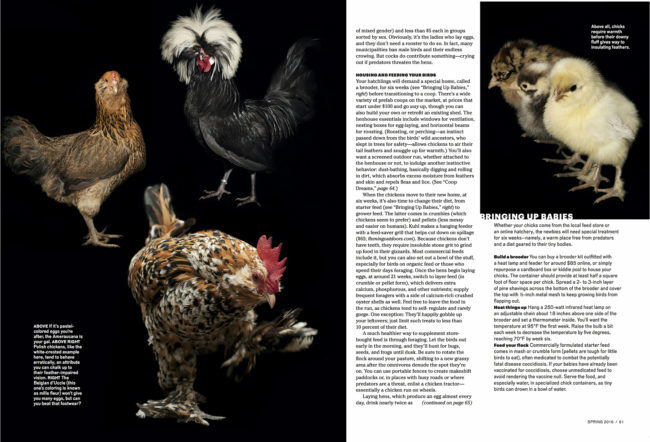 The pre-production for these shoots can be tricky and Photo Director Lila Garnett and I will work closely together to try and find the farms with all of the breeds we need to shoot for the issue. Sometimes it means traveling to 3 or 4 farms. We try our best to find farmers with multiple breeds and are in the same general region. I then travel to the farms and set up a studio on location, typically in a barn– many of which are old and rickety. Sometimes I will stay on the farm for a few days, and other times we break down the studio; travel to the next farm and do it all over. 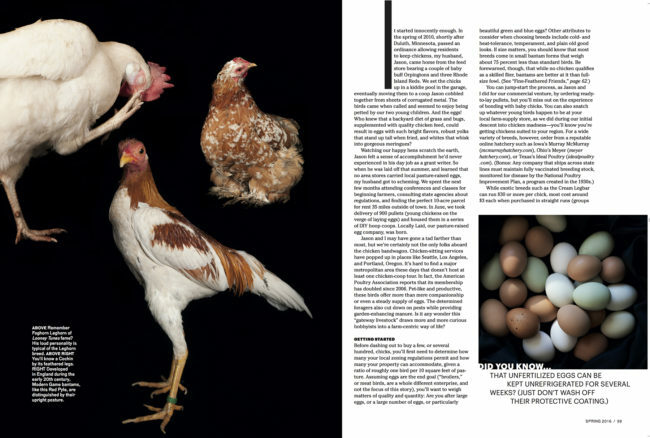 Scheduling farm animal shoots is tricky when you have to work with weather, breeding, molting, sheering and other things that effect what the animal will look like or availability of babies.Chickens are my first love in terms of photographing farm animals, so I was really excited to shoot the chicken cover story for Modern Farmer. 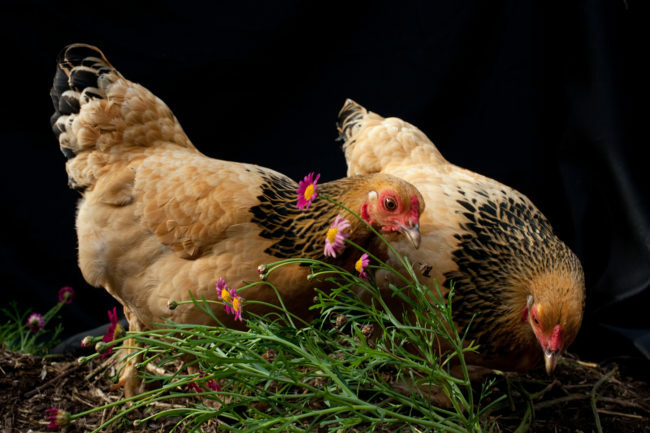 I love the variety in breeds and plumage and more than anything, I love the way chickens move, twist and contort. 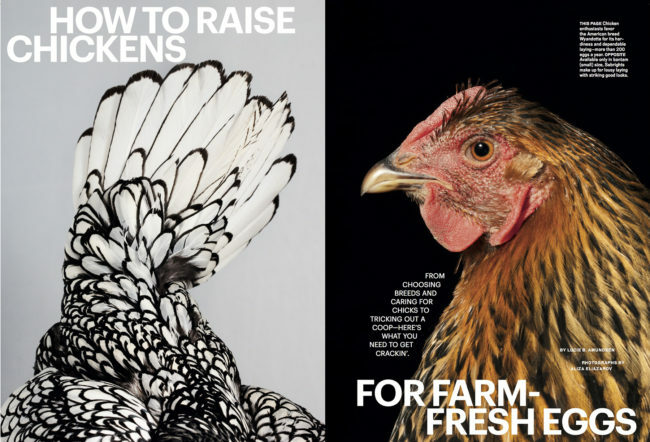 Shooting the chickens also felt like I had come full circle so it was extra rewarding shooting this cover. What was the biggest surprise you had on set? 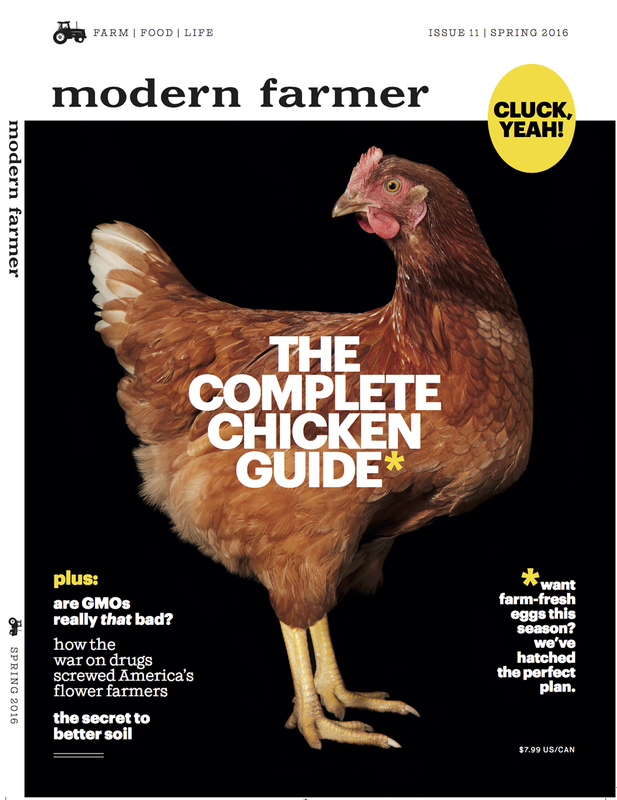 -A chicken laid an egg in the middle of this shoot for Modern Farmer. -A giant draft horse backed up and peed all over the white fabric backdrop. I spent the next morning at the laundromat. -Duck poop is the worst and gets everywhere. -Alpacas don’t poop on set because they are like cats and only go in a communal litter box area. 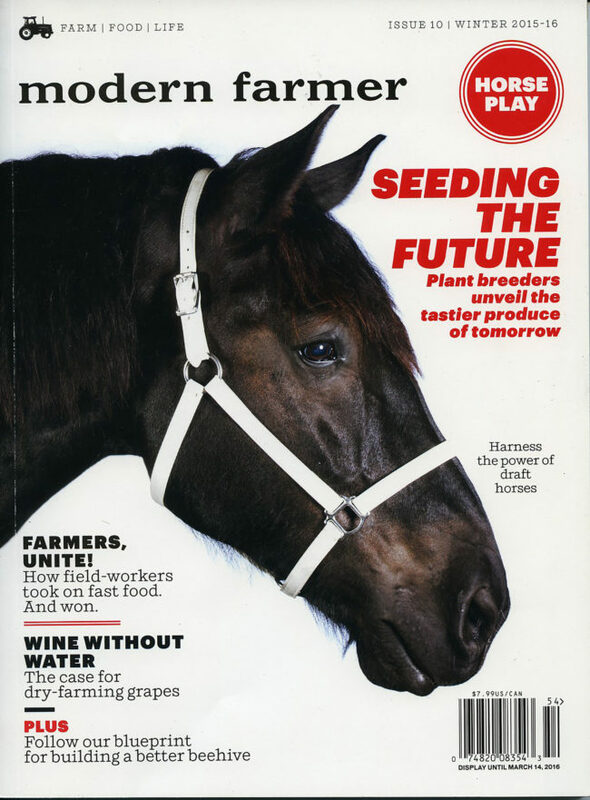 -On my most rece nt shoot, the cover animal I flew across country to photograph, suddenly grew ill and died hours before I got there. Best advice for anyone shooting an animal? Poop happens. Be ready for it. I love this work and the honesty and humor with which the photographer approaches the shoots! These photos have been my favorite part of reading Modern Farmer.